a related digital media/curated exhibit that will support the of artifacts from these individuals and the DP camps. Reading that, many would assume that my ethnic heritage is Ukrainian, but this is only half true. Let me explain. When I was born, all four of my grandparents were alive. My father’s parents were both Ukrainian, immigrating to the US after fleeing Ukraine during World War II, as other family members were murdered or disappeared, living as refugees in Displaced Person camps, and finally making their way by boat to America. They were Ukrainian Catholic, and raised their six children in a tightly-knit Ukrainian community whose organizations were designed to insure the continuance of Ukrainian language and culture. My mother’s parents had English and Native American ancestry traced back to living in the United States before the Revolutionary War. They were Methodist, spoke only English, and had one child – my mother. My grandfather was a world War II veteran, but his experiences during the war were completely different than those of my paternal grandparents. Viewed through society’s usual ways of categorizing people, my two sets of grandparents were polar opposites. They were the opposing bookends on opposite ends of a shelf, with pages of disparate history and experiences insurmountably between them. Or were they? By the time I graduated from high school, only my mother’s father and my father’s mother (say that three times fast 🙂 ) were with me to attend my high school graduation. 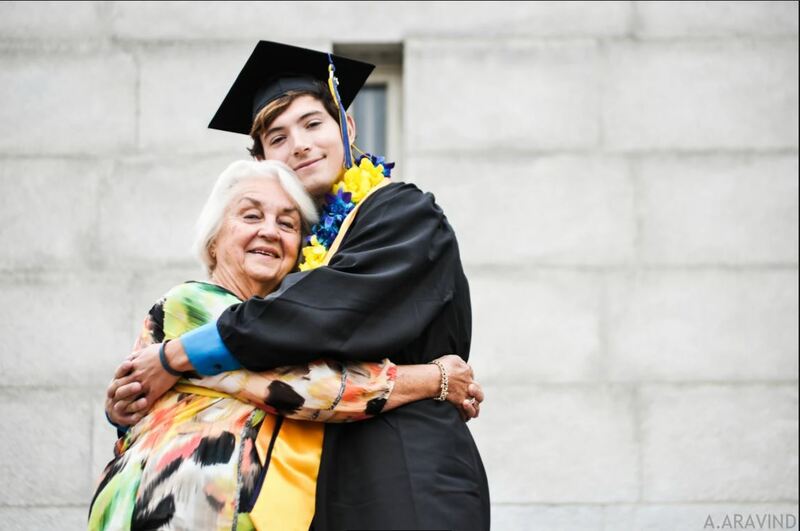 When I graduated from UC Berkeley, my Babcia was my only living grandparent. 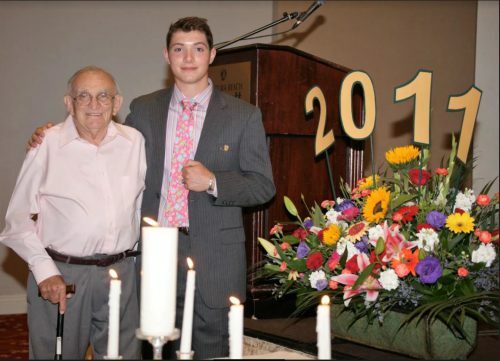 Sadly, my Grandfather suddenly passed away just a couple of weeks after I started my freshman year at Berkeley. He lived right around the corner from me most of my childhood, and was very much a part of my everyday life. It was pretty traumatic to move across the country and immediately lose that connection to home. This loss influenced my perspective on the importance of family history. In a blog post on my website for Baba Babee Skazala, I referred to those two, my Grandpa and Babcia, as the “bookends” for the evolution of the project during college. As events unfolded in Ukraine in the coming years, “Baba Babee Skazala” developed from an idea of a few family interviews to a broader concept of preserving stories and memories of a group for whom this has not been done in a cohesive way and creating a documentary film that would make their compelling stories accessible to a broader audience than those who might do research in library archives. By college graduation, a project proposal was written and I was in search of funding sources. 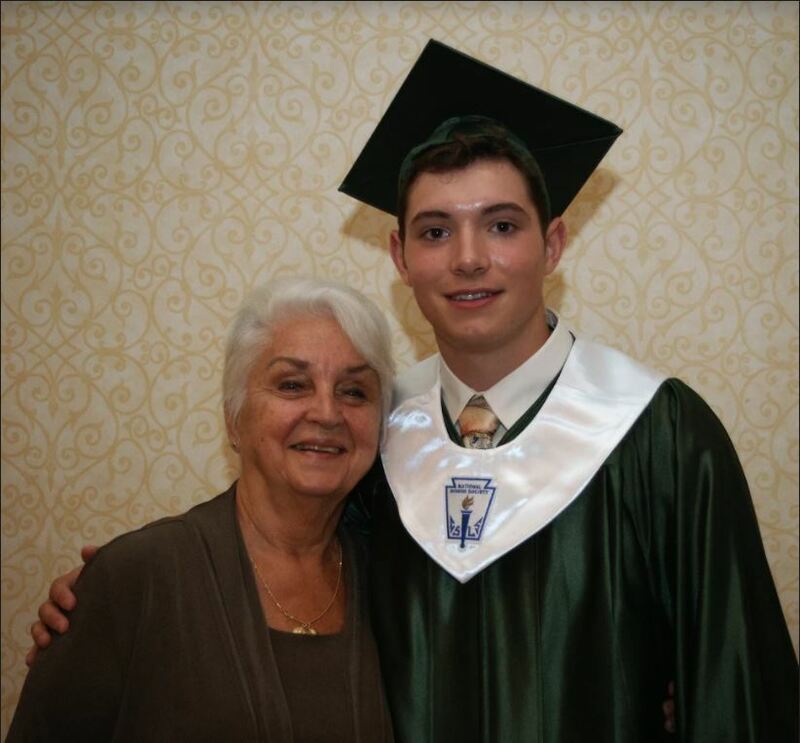 Babcia was with me at graduation, has helped organize interviews and (spoiler alert) agreed to be one of the interviewees. How did these individuals from opposite sides of the world, with vastly different upbringings and viewpoints, influence this project, and more importantly, my life perspective? At its core, the answer is that they chose to connect across all those differences. Rather than viewing themselves as the always-separated bookends on opposite ends of a shelf, they looked to the function of a bookend: the function of a pair of bookends is to support what is between them, to buttress those items and keep them from falling. Without a pair, something supporting both ends, the items fall. In their own ways, each of my grandparents chose to reach beyond their differences every day to support me and surround me with love. They adjusted their own holiday plans, attending different religious celebrations and sharing new traditions, so the whole family could be together. They traveled with us and shared time helping my parents when work overwhelmed them. They adjusted their own plans to transport me to and from the myriad locations required by my figure skating training. They shared meals and recipes, with varying degrees of success. Even when things did not go smoothly and they disagreed, they kept moving forward and worked to make it better next time. Sometimes, the things they did were just crazy, in retrospect. One Christmas season shortly after my maternal grandmother died, my parents did not want to leave my Grandpa or Babcia alone for the holidays. However, my Babcia lived in Florida and my Grandpa lived near us in New Jersey. We also had a family tradition of cutting our own Christmas tree, but that surely wouldn’t work if we were in Florida. 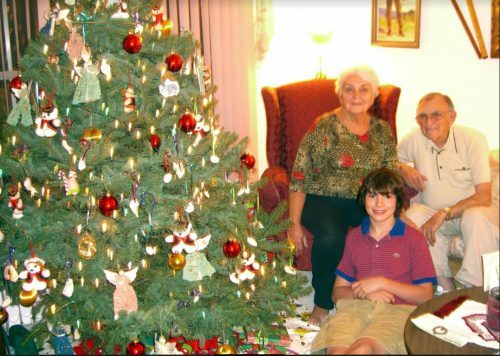 Knowing that my Babcia loved her winter Christmases even though she was in Florida, we went to cut a tree. 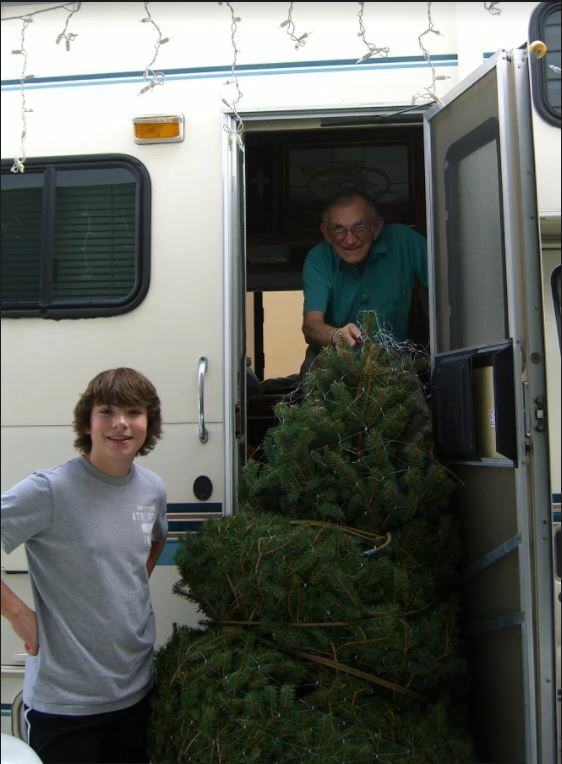 Then – this is the crazy part – my grandpa DROVE WITH THE TREE to Florida while we flew so that we could all celebrate together! A huge surprise for Babcia and great fun for all! They always went above and beyond to love and support me. Part of that was always looking for ways to connect with each other across differences. They did not have to do that, but in doing so they taught me that it is my decision – my choice – whether to focus on differences or whether to look beyond those differences, focus on what we all share as humans, and choose to connect. With “Baba Babee Skazala”, I am choosing to connect with people of a different generation with different life experiences than mine, and it is hugely rewarding to share time with them and record their stories. 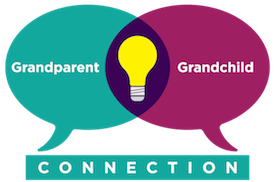 But, it never would have happened if my grandparents had not chosen to connect across their differences – connecting to support and buttress my efforts from childhood to now.